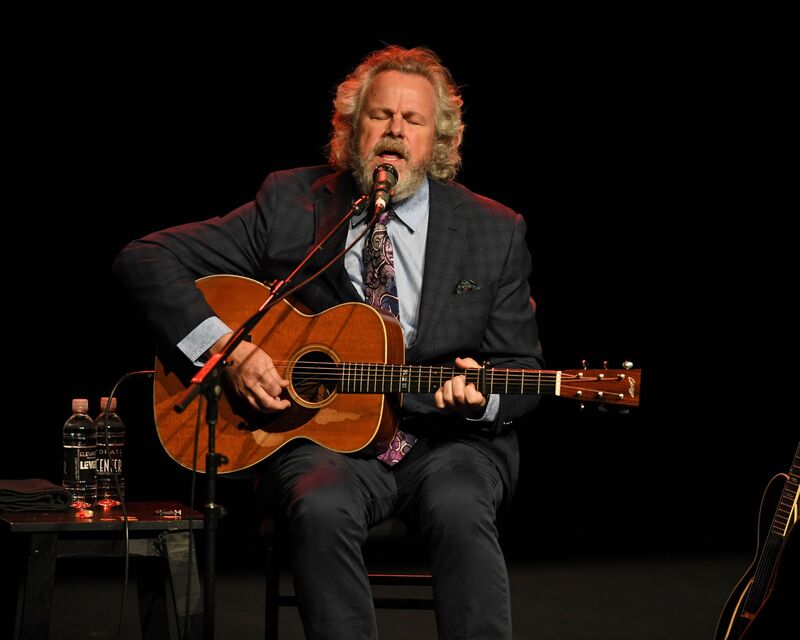 Wednesday is a holiday-worthy day for fans of Texas troubadour Robert Earl Keen, who premieres two previously unreleased ballads, “The Unknown Fighter” and “Silver Spurs and Gold Tequila,” along with his own rendition of John Prine’s “Hello in There.” Recorded for an LR Baggs acoustic session at Soundcheck in Nashville, the new material comes with plans for Keen to return to the studio sometime this year — and, typically for the Texas Songwriters Hall of Famer, the new songs also come with some stories. Of the two originals, “The Unknown Fighter” is the scrappier, more uplifting piece, telling the tale of a boxer who comes out of nowhere to take down the quote-unquote real contenders. “Some day very soon the world will know his name,” sings Keen, brightly lit in the live video while his mandolin and double-bass players are shrouded in near darkness. A more somber contrast is the heartbreak ballad “Silver Spurs and Gold Tequila,” a classically evocative title that just sounds like it belongs in Keen’s canon. That fact isn’t lost on him. “The great honky-tonker, Johnny Bush, heard a song of mine, ‘Crazy Cowboy Dream,’ many years ago. There was a line in the song that said, ‘Silver Spurs and Gold Tequila keep me hanging on.’ Johnny said had I titled the song, ‘Silver Spurs and Gold Tequila,’ it would have been a Number One hit. Now I use that title for every new song,” says Keen, who cowrote it with Adam Wright.